When I was in kindergarten, the school bus dropped me off at a construction site. 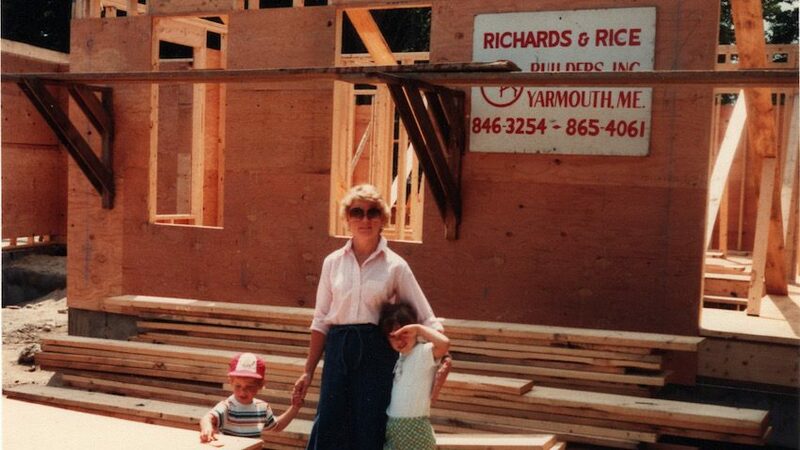 My parents were building their dream home on Cousins Island in Yarmouth and I’d spend my afternoons watching from a rock in the muddy yard as my dad worked alongside a carpenter. 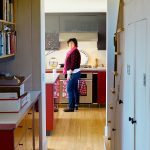 As the brick-red saltbox, based loosely on plans from Colonial Homes magazine, began to take shape, I marveled at the luxuries it had that our previous house did not — a mudroom, a laundry room, two-and-a-half baths, dusty-rose carpeting in my bedroom — and I sensed, even then, how satisfying it is to create a place of your own from scratch. The antique styling of my childhood home instilled in me a love of period architecture. When I worked as a magazine editor in New York after college, I lived in fourth- and fifth-floor walkups in prewar buildings. Who needs an elevator, I thought, when you have patinaed wood floors and a massive living room mirror framed in elaborately decorated molding? (Answer: the boyfriends who moved my roommate and me into that place.) When I returned to Maine in 2007, my husband and I rented an apartment in a Victorian-era building on Portland’s West End before moving off the peninsula to our 1936 Colonial, a house I feel makes up for its lack of modern-day amenities (mudroom, et al.) with heavy, inset-paneled doors trimmed with crystal knobs, elegantly detailed trim, and graceful — but God help you if you ever have to paint them — cast-iron radiators. During the 15 years I’ve been covering architecture and design for national and local magazines, I have also dwelled, metaphorically, in shingle style, Arts and Crafts, mid-century modern, and ultra-contemporary homes, farmhouses, ranches, bungalows, Capes, cottages and camps — and gained a deep appreciation for each place. 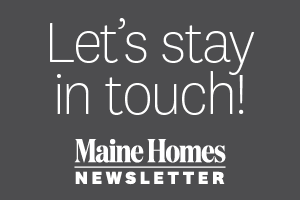 Here at Maine Homes, we aim to showcase the diversity of styles that define our state, while arming you with knowledge and advice you can use as you search for, build, or spruce up your Maine property. I hope you’ll continue to follow me here, too. Next up, I’ll be delving into my family’s sorely needed kitchen renovation — a process I plan to observe from a healthy distance when the demo is happening. A rock in the front yard sounds nice. Cannot wait to check out this blog day in and day out! Cheers! Thank you for this resource. Looking forward to reading and learning more about it. Thank you for reading Peter! Your note means a lot. Cheers. I would love to know if you can help me. 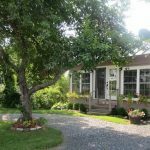 A few months ago, my partner and I bought a house lot in Topsham, Maine. We would like to build either a modular house (Hallmark Homes is our first choice) or from a company called Shelter-kit in New Hampshire. The pre-cut pieces from Shelter-Kit sound very attractive. But, they expect you to assemble the house yourself. that can take all the pieces from Shelter-Kit and assemble the house for us. Any suggestions on the best way to find the most suitable builder/ contractor in the Topsham/Brunswick area for this type of project? As I stated earlier, all of the pieces for the entire shell of the house are pre-cut in advance. Looking forward to your comments, suggestions, etc. Hi Robert! I will ask around and let you know what I hear! Thank you for reading. Thank you for reading Lee! Sarah…I was so excited to see this in my inbox. 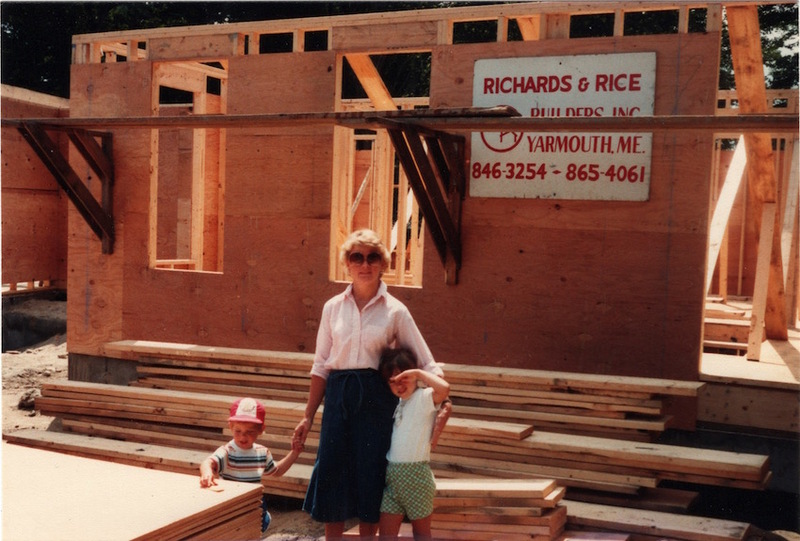 Not only for the fact that we are going to build our “down-sizing” home back in Yarmouth, but because, when I was a second grade teacher at Rowe School, I had a student who was Sarah Stebbins. I just wondered if that was you. It is always so wonderful to reconnect with former students and doubly wonderful that this Newsletter can guide me as we build again. Hi Nancy, I mean Mrs. Gordon, yes I was your student! You have an amazing memory. I struggled with borrowing and carrying in second grade. 🙂 You were a wonderful teacher. I loved singing We Are the World in your class. Thank you so much for reading and good luck with your home-building project. Please stay in touch. Nancy is just fine! Thank you for your kind thoughts and memories. I bet “carrying and borrowing” are much easier now! ? I look forward to each new post and will keep in touch. Best of all to you and yours! Sarah – being one of the many huge fans of Down East Magazine, I’ve been reading your articles and enjoy your perspective on things very much. Although I know your last name, I didn’t spend time researching but finally curiosity got to me! I grew up in Falmouth Foreside and Falmouth, Maine before moving to Florida. My parents were best friends and fellow boaters with your grandparents (Steb and Julie Stebbins) and spent many boating odysseys with them, your dad Charles and his sister Cathy (we see her often on our summer trips to Maine) on the coast of Maine. I had last visited with Charles and Rose not too long after they build the Cousins Island home, and you were kids! A wonderful time with wonderful people. So good to see your fabulous success! I’m a fan anyway! We plan on retiring to New England in the next year and Maine has always been my dream. Just thinking about taking a day just to visit lighthouses or go antiquing makes my heart glad. I wish there was a real Cabot Cove to find! Hi Mimi, thank you so much for your note and good luck with your move! How exciting. Please stay in touch. This is a wonderful idea! Thank you Sarah for doing this. 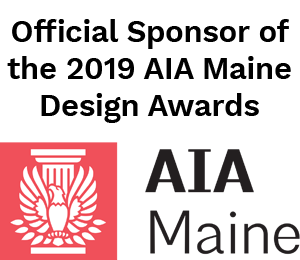 Those of us who live away but plan to return to Maine once retired will find this extra interesting and helpful. Anything you can add for those of us in this position will be eagerly read. I also want to add that the weekly photos are such a gift! Hi Jean, I will definitely keep this in mind. I think there are a lot of people like you out there and those photos are for you. 🙂 Thank you so much for reading. I loved the pictures of your Mom and Dad, former neighbors of ours. You come by your lovely sense of style naturally. Thank you Kathy! I drove by the Buxton house about a year or so ago. It was so cool to see it. Thank you for reading. I love this idea for a magazine that will cover all aspects of home building selling and decorating. We just built our new lake house on Estes lake in Maine and moved in this past summer and I used many publications on line I could get for ideas. I found many. I’m still in the decorating process and will surely look forward to you magazine. Hi Geri, congratulations on your new home and I hope we can help with the decorating process! Thank you for reading. This will show my age perhaps, but I really wish this were a new hard copy. hold in my hands magazine. A Down East spinoff. I can’t wait for any version. Great idea. I’ll try to get with it. Hi Marcia! Our plan is to eventually spin the website into a magazine. 🙂 Thank you for reading and for your patience! I too, was so excited to receive this wonderful surprise; thank you for doing this! My husband and I have been trying to summon the courage to pull up stakes after living in the Phila area most of our lives. We’re trying to work out logistics and find the place that most works for us. My husband is a clinical psychologist and would like to continue to work so we need to be in an area where he can make a go of it. We’ve been looking at S Portland, cape elizabeth and Camden. Hope so much to connect with someone who might have some insights or ideas. We’ve engaged realtors in Camden and the Portland area but only from afar; have not yet sat down and hashed things out in person. Thanks again for doing this and am hoping I’m not mistaken in thinking this is an open forum of sorts! Hi Linda, thank you for your note and I hope you can make the move here! Let us know if we can help or if there is content we might provide that would be helpful to you. Best of luck and I hope you will keep reading. Sarah- congrats, this is incredible work. Great pictures of your childhood home and parents!